Software for monitoring the progress of a chemical reaction using mass spectrometry as the assay and a 96 well microtiter plate as the experimental format. The researcher wishes to monitor the states of reactant, product and catalyst ions during a reaction. The researcher prepares 96 identical reactions in a microtiter plate and samples wells one by one at regular time intervals. Samples are injected into an electrospray mass spectrometer. The resulting TIC shows the injections. 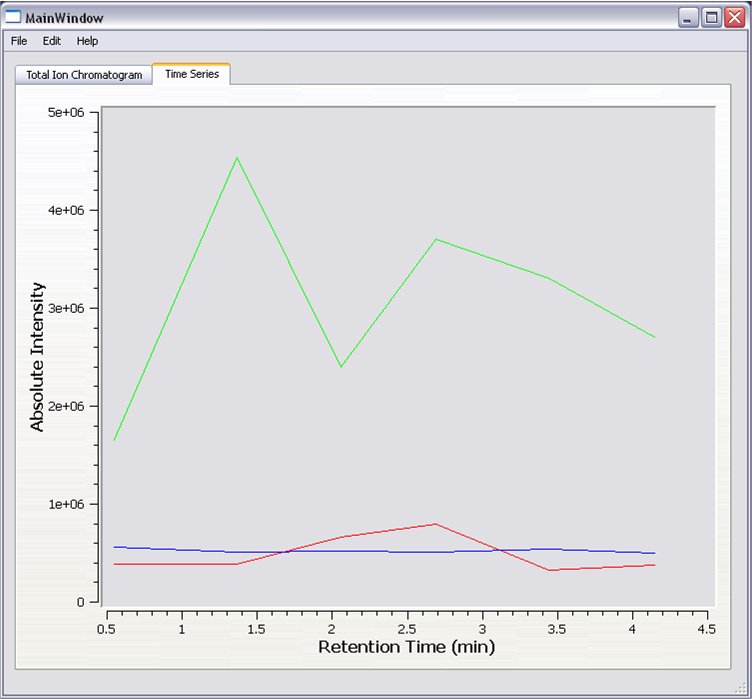 The experiment requires monitoring of the selected ions, but the vendor's software has no such feature. You create three selected ion chromatograms by hand, integrate each over the 96 intervals by hand, type the n x 96 numbers into an Excel spreadsheet, make an Excel figure, cut and paste the figure into a PowerPoint or a Word document, and attach the document to an email. Then you can do it all over again for the next assay. Or . . . you can use our software. 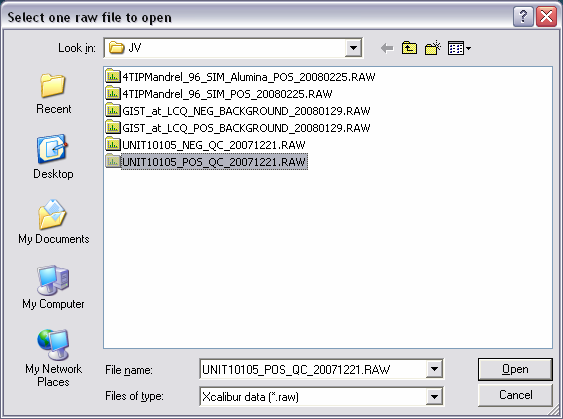 Read the raw data file. 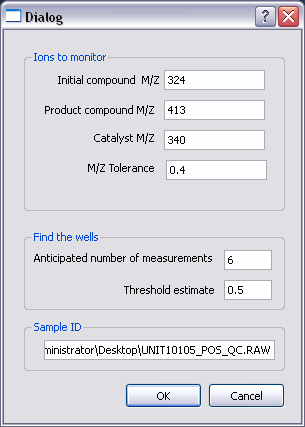 Analyze the TIC to find the injection periods/wells. Integrate the ion signals in each period. Plot the integrated intensity of each ion as a function of injection time and well number. 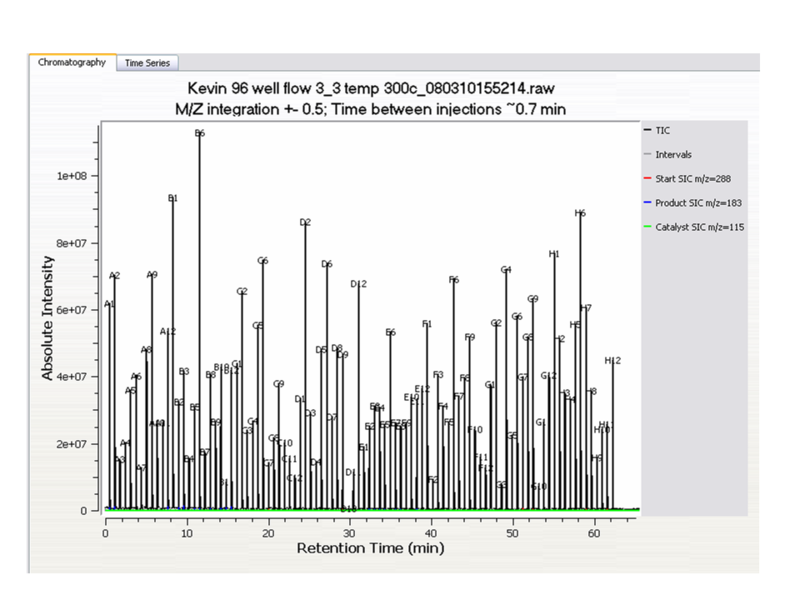 Reads raw chromatographic data from all major instrument types. Monitor your reactions visually for specified reactant, product and catalyst ions. Verify that the catalyst is not consumed. Make a pdf to keep or print. Rework the data in a csv file. Exporting the binary vendor data to ascii or mzXML. Calculating selected ion chromatograms by hand. The application features simplicity. It opens with the file browser looking for your data file. The next screen asks for the identities of the ions of interest and a few parameters to help isolate the injections algorithmically. Chromatography reflects the 96 injections (and one dud). The time series shows the concentrations of the ions in the wells. 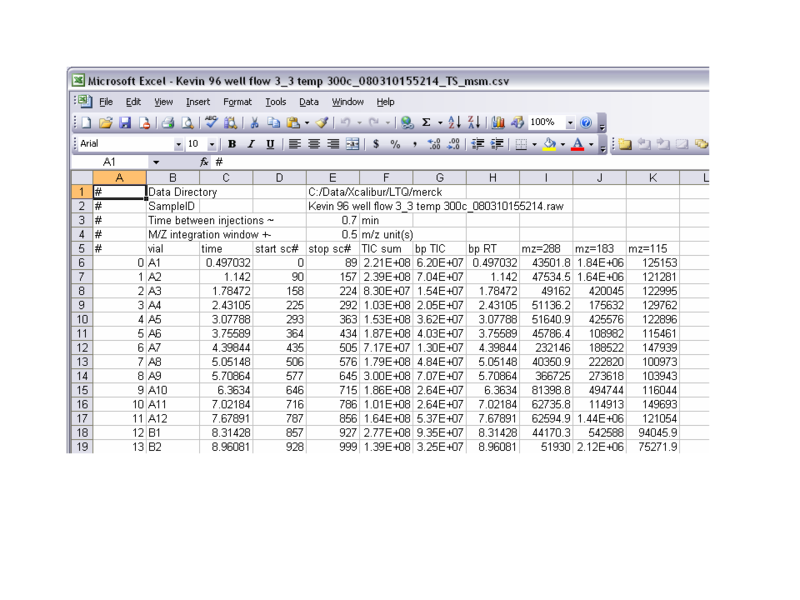 Lastly, the results are written to a CSV file for further handling in Excel. Our web demos are live web conferences via internet and phone, or Skype. You will have the opportunity to ask questions and see how you can quickly accomplish your goals using our software.